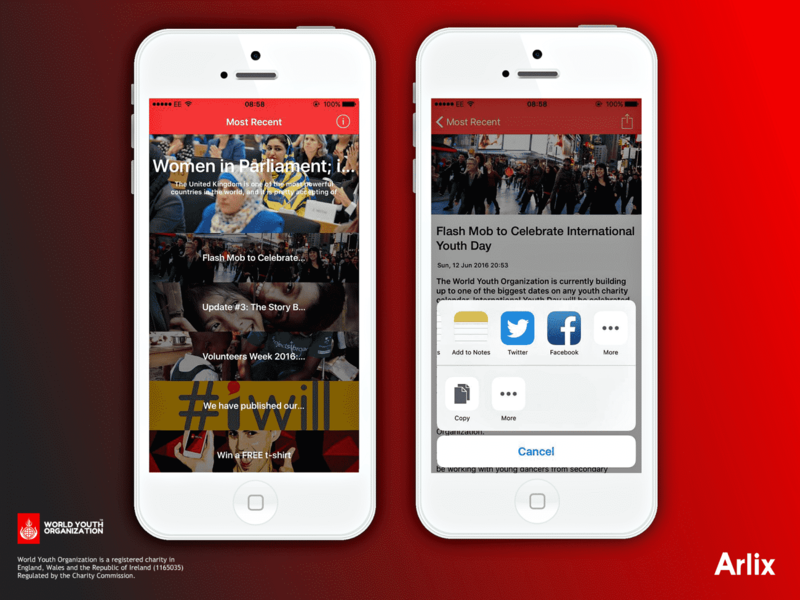 We are so excited to announce that the World Youth Organization has released a new update for the app including a funky new design for articles. Arlix Technologies, the developer for our app have just released version 2.0. The update includes: new redesign of most recent articles, fixed bugs in articles, sharing button added and new ‘More’ screen. To download our app, either visit the App Store or Google Play.